Ahmed Shah’s Mosque, also known as Shahi Jam-e-Masjid or Juni Juma Masjid is the oldest mosque of Ahmedabad, India. 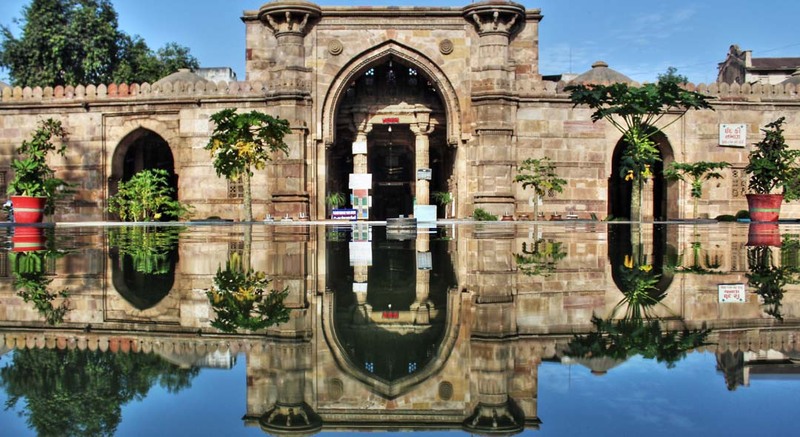 The mosque was erected by the founder of Ahmedabad, Ahmed Shah I in 1414. It said to have been used as the royal household’s private mosque. According to the inscription at the upper part of the central mihrab, the foundation date seems to be the 4th day of Shawwal month in 817AH, which is 17 December 1414. 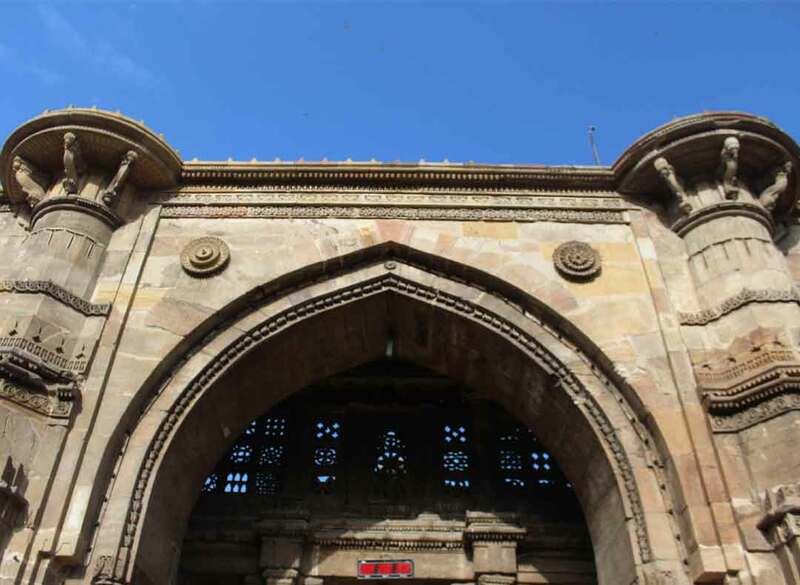 The outer wall, almost bare of ornament, with ill designed pointed arches and squat minarets, mark the Hindu artisans\\\\\\\\\\\\\\\' first attempts to build in Islamic style. 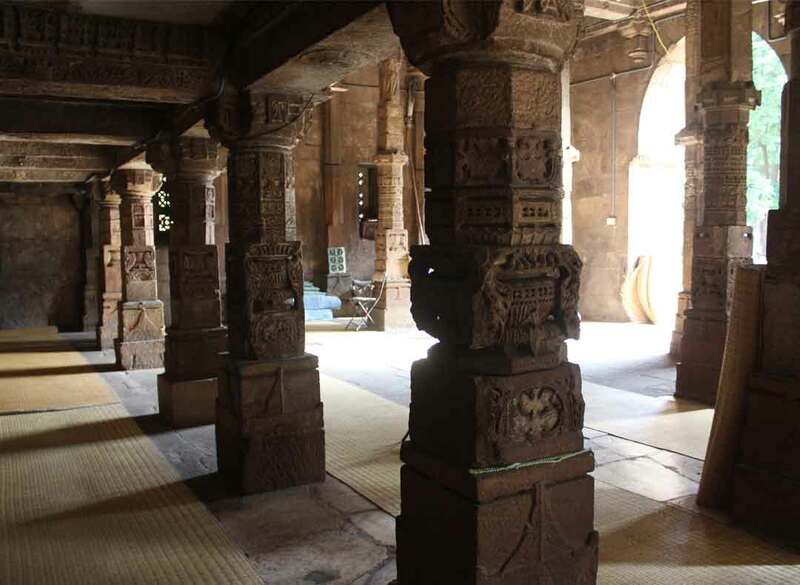 Inside, five large and several smaller domes formed of converging stones and richly carved, are supported by rows of pillars, some of them still bearing Hindu figures and emblems. The north porch leading into the latticed Princesses’ Gallery is Hindu throughout and may be part of some temple on whose site the mosque was raised. The pavement is of white marble, the canopy covered pulpit has a yellow marble balustrade carved in a leafy pattern, and white marble steps. 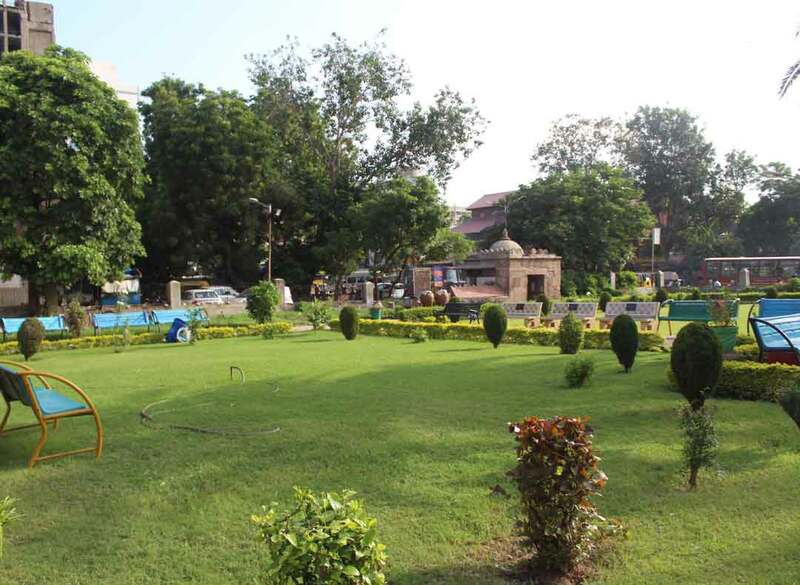 In the courtyard is a mound called Ganj Shahid or the martyrs\\\\\\\\\\\\\\\' mound, the tomb of warriors who perished in Sultan Ahmed\\\\\\\\\\\\\\\'s early fights. The mosque covers area of 700 square metres and have two rows of ten large domes surrounded by several smaller domes. The mosque is supported by 152 pillars and have four arched gateways. There are eight perforated stone windows and 25 fine carved pillars. The mosque was restored in 2011 by Archaeological Survey of India at cost of Rs. 2.2 million.